There were plenty of interesting things to see at the London Bike Show last weekend, with two articles worth of new bikes (part one and part two) and interesting kit on display, but perhaps the most exciting new launch came from Boardman Bikes, with the unveiling of the company’s first disc-brake-equipped road bike, the Boardman SLS Disc. >>>The disc brake debate: are they necessary on road bikes? 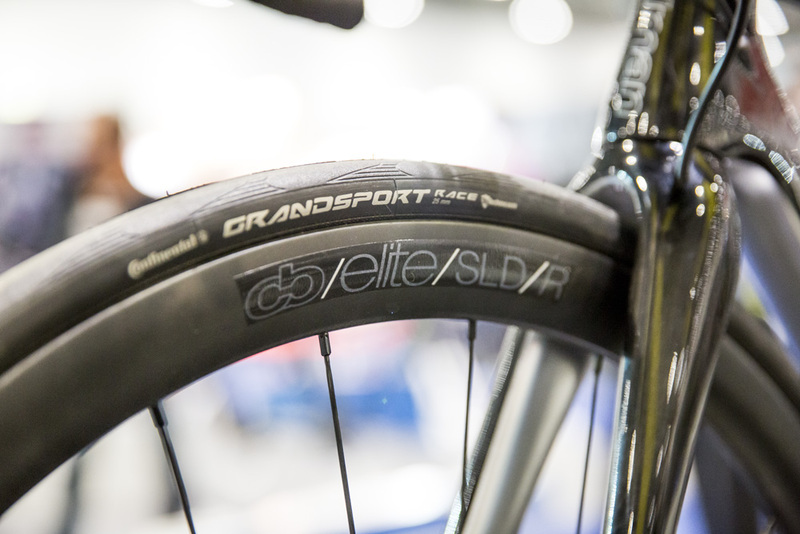 The SLS Disc inherits the frame of the existing rim-braked SLS, Boardman’s top-end all-rounder designed to be as good for racing as it is for all-day endurance riding. 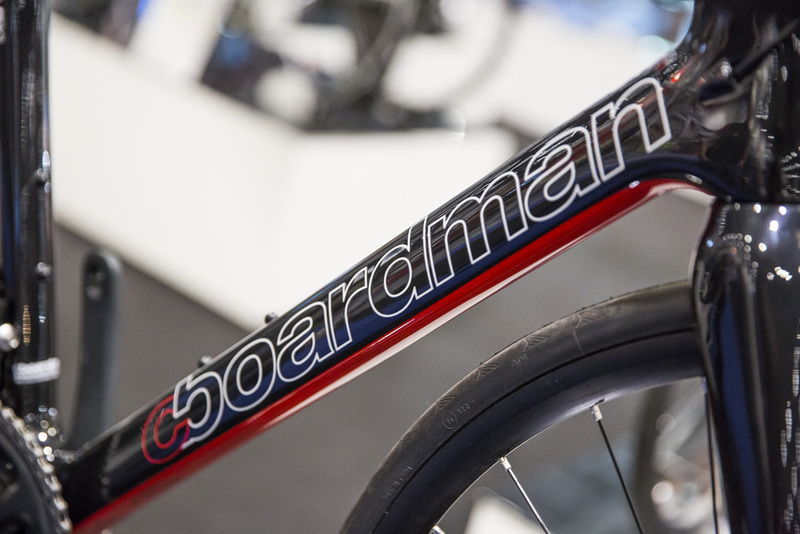 This is constructed from a mixture of Toray 800 and 1000 carbon-fibre that is used in all of Boardman’s Elite Series bikes, such as the the AiR 9.0 we reviewed late last year, with a fully monocoque frame that, according to Boardman, hits the scales at 950g. However, the fork, which has a claimed weight of 400g, has had to be re-engineered in order to accommodate the disc brakes. It is still made out of uni-directional carbon-fibre, but includes neat internal routing for the brake hoses. Interestingly, Boardman has decided to include thru axles on the new SLS Disc, with a 15mm thru axle at the front, and a 12mm one at the rear. 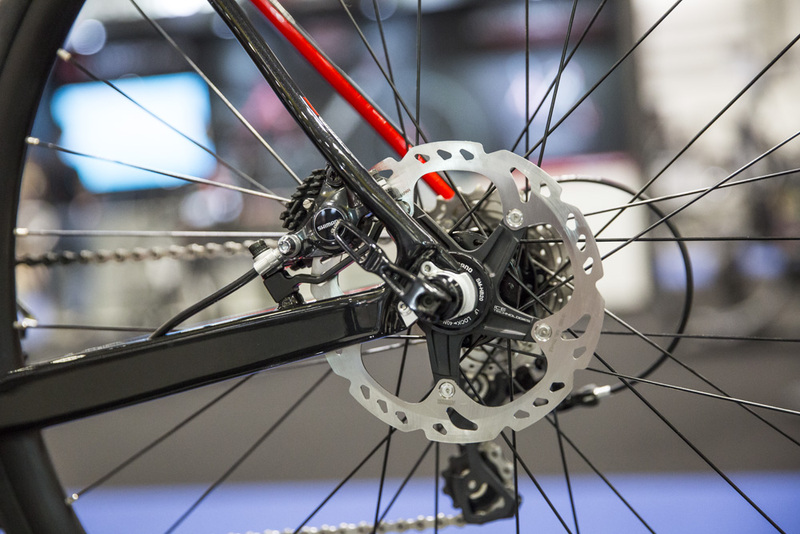 Despite offering greater stiffness and strength compared to standard quick release skewers, there has been a reluctance among bike manufacturers to embrace thru axles, perhaps due to the increased weight of the system. 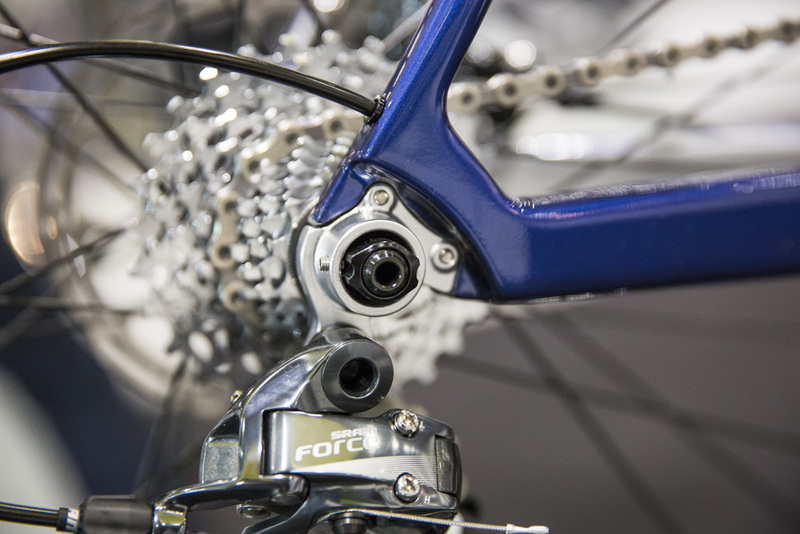 For this reason Boardman has created a bolt-on thru axle system at the rear, meaning you can swap in a standard quick release if you so desire. The SLS Disc will be available in four separate builds (as well as frameset only). 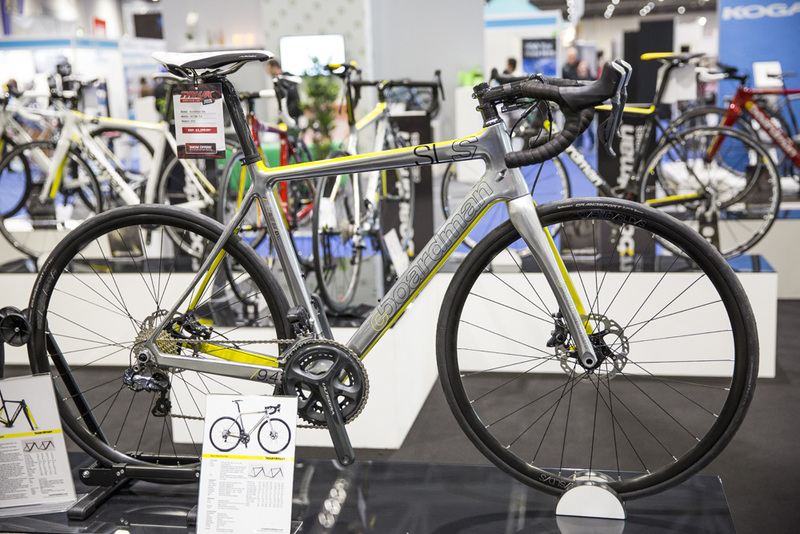 At the bottom of the range is the SLS Disc 9.0, which comes with Shimano 105 groupset and Shimano 685 hydraulic disc brakes, and is priced at £2299.99. From there we go up to the £2899.99 SLS Disc 9.2 with SRAM Force, and the £3299.99 SLS Disc 9.4 with Shimano Ultegra Di2. The top model in the range is the SLS Disc 9.8 which will be available for £4999.99 and features full Shimano Dura-Ace Di2 shifting and Shimano 785 hydraulic discs. The company says that it was not satisfied with the existing options available for disc-specific wheels, so instead decided to develop its own to attach to the new models. The 9.0, 9.2, and 9.4 models come with the CB Elite SLD/S alloy wheels, while the pro level 9.8 comes with a pair of CB Elite SLD/R carbon hoops. We’ll be looking to get our hands on one of the new machines as soon as they are available, so stay tuned for a full review soon. 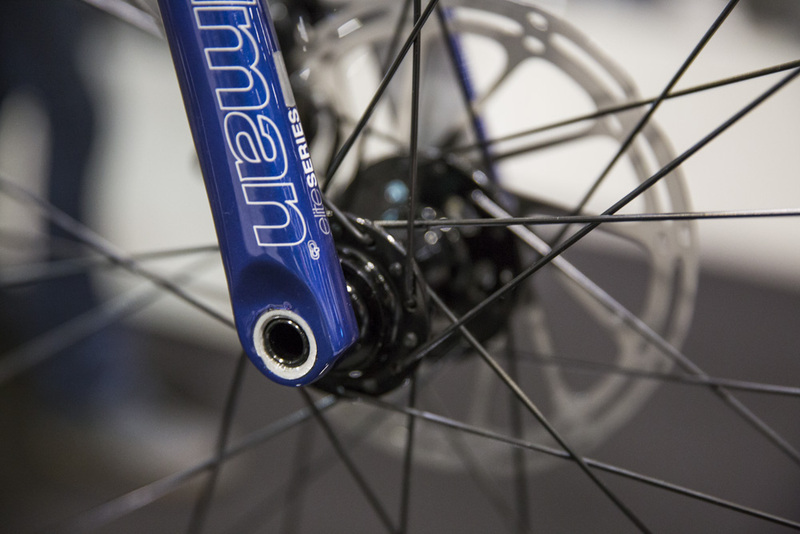 Boardman wasn’t happy with the existing disc-specific wheels on the market, so opted to create its own.